Since leaving the piano rebuilding business, I now refer rebuilding work to John Johanson and his company, Mosaic Piano Service. 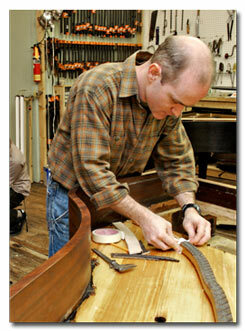 John continues to rebuild pianos at the same location in downtown Greensboro that I moved into in 1998. John’s Johanson’s philosophy of piano rebuilding continues to be the same as mine: to reproduce the original quality of the instrument by adhering to the original design of the piano, using the highest quality parts and materials available, along with the most advanced restoration and rebuilding techniques. If you own a piano that you believe would benefit from work more extensive than tuning, voicing, or action regulation, please give me a call. I’ll be glad to assess the condition of the piano and advise you about rebuilding. 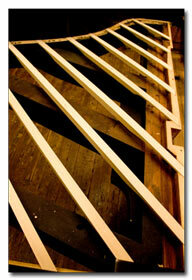 Every piano and every situation surrounding the piano is different. Custom work that fits your needs along with the piano’s needs is the hallmark of high quality rebuilding and restoration work. Tailoring piano sound and touch to realize the potential of the piano, and creating the pianist’s ideal instrument is our mission and also our art form.